I am known by the names James, Jack, Charles, Tony and a few others but most people call me Jez. I play piano. I am the guy in the tuxedo, sitting in the corner playing piano while you eat, drink and enjoy your evening. My job is to supply the atmosphere with melodies and chords. Parallel to my career as a musical dietary technician is my passion for the music of Brian Wilson and The Beach Boys. It used to be that this was seen as an odd combination but in recent times the appreciation of Brian Wilson as a major musical force has grown, and with his return to the stage, the awareness of his artistry and his place as a national treasure has been acknowledged. In the years past before this harmonic reconvergance took place, people used to ask me this question, "Why would a Jazz musician be so devoted to the surf sound of the Beach Boys"? Hopefully I can answer that question by telling you a bit about myself. I started listening to Brian Wilson's music in 1970 when I was 11. It was and is still my solace, my refuge from the cold world. Always comforting and healing. One year later, I first saw the Beach Boys in concert. The place was Carnegie Hall and the music, much of it from "SUNFLOWER", and "SURF"S UP" was exhilarating and uplifting. After that I had to find every album by the group I could find. When in '72 they had a new album called "CARL AND THE PASSIONS/ SO TOUGH" I was so glad to get to hear new music by them. I kind of approached it backwards, I guess, because I was into their current sound before I ever listened to any of the oldies. It is now in vogue for musicians and civilians to recognize the brilliance of Brian's composing, arranging, producing and vocal talents. In the documentary "I JUST WASN'T MADE FOR THESE TIMES"(1995) Tom Petty compares him to Beethoven I would also add Mozart and especially Bach. Both wrote music to and inspired by God. Though I have tried, it is very difficult to analyze "GOD ONLY KNOWS" on a technical level without the understanding that there is something otherworldly about the song just as Bach's music has a mystery in every measure. Even in Brian's smaller masterpieces such as "SOLAR SYSTEM" from the underrated "THE BEACH BOYS LOVE YOU" subtle key changes appear effortlessly and without false dramatic effect. The music speaks to me in a way that is hard to put into words. It gives me a feeling of peace and happiness. I have always absorbed the music on a purely emotional level. I have always sensed but only recently began to examine the jazz harmony that runs through the music. Because much of my time is spent alone in my head, playing piano at restaurants, hotels etc., I have the chance to examine and analyze songs from the great American songbook, i.e., Gershwin, Porter, Rodgers, Kern, Berlin, and their contemporaries, as well as the 2nd wave of the American songbook which begins with Brian Wilson but also includes, James Taylor, Joni Mitchell, Paul Simon, Carol King, Todd Rundgren, The Beatles (OK they're from England), Jimmy Webb, and Stevie Wonder to name a few. In examining these songs while playing them I find that some more than others work as standards, tunes with interesting chord changes that are fun to play on, and lend themselves to jazz improvisation. Part of Brian's brilliance comes from the fact that he broke such new ground in his music, although he did not really have much formal training. My take on these songs is therefore subjective as I am finding jazz harmony in the music, although I am not suggesting that his intention was anything other than to write great songs. As a true artist he was creating a new kind of theory that will be studied for years to come. One time while playing "CALIFORNIA. GIRLS", I started to think about it's relation to the great standards that follow the cycle of 4ths such as Jerome Kerns "ALL THE THINGS YOU ARE". It is in B natural. I wonder if it was recorded in the horn friendly and more jazzy key of Bb and sped up a half step. Everyone recognizes the majestic intro that begins "CA.GIRLS". After the intro, the bass line begins. It establishes a cowboy western groove that Brian uses a lot, most notably on "RIO GRANDE" (Brian Wilson 88), and also on parts of "SMILE". As the verse continues the tonal center is a B chord-("Well east coast girls are hip, I really dig") at this point the bass stays on B but the chord underneath becomes A. Another way to spell this chord is B11. The 11th chord is a staple of jazz that was used also in a lot of R and B of the 70’s by artists such as Earth Wind and Fire, Stevie Wonder etc. The chord also has deep roots in gospel music. (For more Brian gospel listen to "THAT SAME SONG" from "15 big ones", also for Beach Boys T.M. gospel listen to "HE COME DOWN" from "SO TOUGH"
The remaining chords in the verse of (CA. GIRLS) are fairly obvious. They are E and Fsharp11(the IV and V chord of B) and as we get to the chorus get ready to go on a ride. This ride includes an interesting romp through the cycle of 4ths. The chords of the chorus are B/ C#-/ A/ B-/ G/ A-/ B/ B. The cycle would go like this-B/ E/ A/ D/ but in my analysis Brian substitutes the relative minor of the E and the D chords i.e. B (wish they all could) C#-( be California) A (wish they all could) B-(be California) G (wish they all could) A-(be California B girls). C#- is the relative minor of E which following the cycle is the IV of B. From C#- we go down a 3rd to A(A being a 4th above E). B- is the relative minor of D which following the cycle is a 4th above A. G is up a 4th from D. To conclude the chorus we go from G to A- don't ask me why but it sure sounds good when the resoluteness of the B major chord brings us back to the 2nd verse. Apparently the jazz possibilities of this song did not go unnoticed by Mahavishnu John McLaughlin because there is a tape floating around from the early 70’s of the guitar virtuoso jamming on "CALIFORNIA GIRLS" with Charles Lloyd with a soothing Mike Love vocal. The Beach Boy’s are known of course for the up tempo odes to surf, cars and girls - Yet as with "CALIFORNIA GIRLS" we see that many of these songs are deceptive in their simplicity. A little history for the uninitiated. It was Brian's love of the Four Freshmen’s intricate harmony's merged with brother Carl’s Chuck Berry style rock and roll guitar and brother Dennis’s love of surfing along with cousin Mike Loves rhythm and blues influence that are the key elements of the early Beach Boy's sound. Frank Zappa made the point in "The Real Frank Zappa Book" that Brian reversed the ever popular ii-V-I progression so popular in jazz and popular music to a V-ii-V-I in Little Deuce Coupe , This was extremely forward thinking as were the chord changes of All summer long, I get around, "The Warmth Of The Sun", Little girl I once knew, "GIRLS ON THE BEACH" and "DON'T WORRY BABY". If we look at "Don’t worry baby" which for my money is one of the most greatest love songs of all time, we see that the verse is in E. The lines F# minor7th(but she looks in my eyes) B7th / G# minor7th (and makes me) C#7th(realize) take us to the new key of F#. C# is the V of F# so this is a very classical key change that brings us to the crux of the song. F#( Don’t worry baby B( Don’t worry) C#11 (everything will be alright) / F#( Don’t worry baby B( Don’t worry) C#sus C# (Baby) Bsus B (Baby) B major is the V of E (our starting chord and key) which brings us back to the verse. Brian seemed to move the tonal center of the songs in an effortless way that defies traditional theory. Case in point "GIRLS ON THE BEACH" which has a verse that starts in Eb with a traditional I/ vi/ ii/ V7 or Eb/ C-7th/ F-7th/ Bb7th, followed by 3 notes from "WHEN YOU WISH UPON A STAR" for these chords- Eb/ C7th/ F-7th/ then a surprise chord Ab-6th which is the iii of the new key of E maj7th/ C#-7th/ E maj7th/ C#-7th/ A/ F#-7th/ Bb7th. The bridge is the iii to the vi of Eb twice and then a ii-V back to the last verse with a twist. It is Eb/ C-7th/ F-7th/ Bb7/ then up a tritone to E maj7th/ C#7th/ F#-7th/A-6th/ down a 3rd to yet another key-F maj7th/D-7th/ F maj7th/ D-7th/Bbmaj7th/G-7th/ and now a ii-V7(F#-7 B7)out of F and back into E for the tag which is I/ iii/vi/ii or Emaj7th/G#-7th/C#-7th/F#11. "DON'T WORRY BABY" and "GIRLS ON THE BEACH" are just 2 examples of Brian's songs that shift keys. It has been a long standing tradition in standards such as "BODY AND SOUL", "GOD BLESS THE CHILD", "MORE THAN YOU KNOW” and "WHEN SUNNY GET"S BLUE" for the bridge to move to a different key and then resolve back for the last verse. Brian's way of doing this can be more complex, sometimes changing keys after the first 4 bars and in "THIS WHOLE WORLD(1970) changing keys again after the next 4 bars and again after the next 4. Supplementing the brilliant chords, melody, and harmony on the classic recordings were a team of legendary studio musicians who among them played on the bulk of the pop music coming out of Los Angeles in the 60's. Among the rhythm section players were drummers Hal Blaine and Jim Gordon, keyboardists Don Randi, and Leon Russell, guitarists Tommy Tedesco, Glen Campbell, Barney Kessel, and Billy Strange, the acoustic bass players Lyle Ritz, and Ray Pohlman, and the pivotal electric bass of Carol Kaye. Perhaps because Brian was the group's bass player and is also a fine keyboardist, the bass lines have always been an essential component. Carol Kaye was able to convey his exotic and elegant bass lines which at times provided a Bach like counterpoint. In addition she brought her jazz sensibility and all around groove to the sessions. To listen to Ms. Kaye expand on the jazz sensibilities in the music check out the "PET STORIES" chapter of the "PET SOUNDS LIVE" DVD. In the later 60's and early 70's the band became more active in the studio as well. One of Carl’s first compositions is called "FEEL FLOWS" on the "Surf's up" album. His vocals are angelic and purifying as they always were. The middle section features the jazzy improvisations of Charles Lloyd who earlier in his career had an innovative Quartet with Keith Jarrett and Jack DeJohnette that was one of the first jazz groups to play the Fillmore. Charles is featured on several Beach Boy's cuts and several Beach Boys appeared on his album "Waves" featuring the song TM. Dennis had a very strong classical influence in his writing. He once said that Brian and Wagner were his influences. "CUDDLE UP", "A TIME TO LIVE IN DREAMS", "ONLY WITH YOU","FOREVER","BARBARA","BE STILL", "LITTLE BIRD", "LADY", and virtually everything on his solo album " PACIFIC OCEAN BLUE" are all worth checking out. Although Mike Love sang most of the early fast tunes his voice also was used for a soothing effect and for the powerful bass parts that were so important to the sound. Check out Mikes gentle vocal's on "COOL COOL WATER" from SUNFLOWER" and "MEANT FOR YOU" from “FRIENDS". Mike and Alan Jardine were responsible for the good time feel and contributed many cover versions of oldies such as "BLUEBERRY HILL" ,"A CASUAL LOOK" ,"RUNAWAY", and "COME GO WITH ME". Al was also very important in the live shows for singing songs like "HEROES AND VILLAINS" "HELP ME RHONDA", and "YOU STILL BELIEVE IN ME". Bruce Johnston's song "DISNEY GIRLS" is very much of a standard that evokes an innocent time that seems so distant in this modern world. Another great Bruce song is the instrumental "THE NEAREST FARAWAY PLACE". Brian Wilson now tours with his own incredible band. The musician's do justice to the music, faithfully recreating the studio sound of the classic era. Check out "LIVE AT THE ROXY" (get the DVD-A if you can find it) and you won't be disappointed. My Picks: "PLEASE LET ME WONDER" , "KISS ME BABY", "BACK HOME",DONT WORRY BABY, ALL SUMMER LONG, LOVE AND MERCY, and TILL I DIE (I think it was Don Was who said these chord changes make Coltranes " GIANT STEPS" seem easy and while I think that's a stretch I would love for someone to explain this songs groundbreaking chord structure). In addition to all the hit's, there are many rarities such as a version of Sammy Cahn's "THE THINGS WE DID LAST SUMMER"
This is the place to learn everything about Pet Sounds You can hear the genesis of the songs, hear outtakes, and read about the making of the album that changed the music world. HAWTHORNE CA. - Capital-archival material from the vaults, including the accapella versions of "THE LORDS PRAYER" and "THEIR HEARTS WERE FULL OF SPRING"
"ENDLESS HARMONY" -Soundtrack to the best Beach Boys documentary. This one had some gems. 2 Unreleased Dennis songs that are among his best. Wonderbill which combines "WONDERFUL" from "SMILE" and a song by Blondie and Ricky called "DON'T WORRY BILL", There is also a fine Brian soul song called "SOULFUL OLD MAN SUNSHINE" as well as Bruce’s title song which is a tribute to the band. "CLASSICS" on Capital is a compilation of Brian picked favorites. It includes a new version of "California Feeling" an unreleased song from the 70's that has lyrics by Steve Kalinach who penned the lyrics to some of The Beach Boy's most serene and uplifting songs. 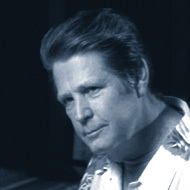 Extra recognition must be given to Mark Linett for his fine remastering of the capital 2fers, both box sets, "HAWTHORNE CA, ", "PET SOUNDS DVD-A, and The deluxe edition of "BRIAN WILSON" (88), and for recording and engineering "LIVE AT THE ROXY", PET SOUNDS LIVE", "GETTING IN OVER MY HEAD" , and "SMILE". These releases as well as both box set's and all of Brian's new releases feature outstanding and educational liner notes by David Leaf. Brian used to say the "PET SOUNDS was his best album but his favorite was "FRIENDS". This quiet, reflective, and short album is endearing in so many ways. Like a close friend who is always there for you, this music is always comforting and uplifting from the opening organ chords of "MEANT FOR YOU" to the wailing sax(Someone please tell me who plays this solo) of "TRANSCENDENTAL MEDITATION". The music on this album fuses, bossa nova, acoustic folk, wordless chants, and the sounds of Hawaii. "20/20" was the last Beach Boys album on Capital , and the last of the 60's. It features 2 of Brian's finest waltzes, "I WENT TO SLEEP" and "TIME TO GET ALONE". Both are in the tradition of such early American waltzes as "LET ME CALL YOU SWEETHEART" and Irving Berlin's "ALWAYS". It also marks the first appearance of 2 very important and beautiful pieces from the "SMILE" sessions, the wordless "OUR PRAYER", and "CABINESSENCE". Also fascinating are the outtakes on the 2fer of Steven Fosters "OLD FOLKS AT HOME and Jerome Kern’s “OLD MAN RIVER " and Bacharach's "WALK ON BY"
My picks/: "LITTLE PAD", "COUNTRY AIR"
"SUMMER DAY'S AND SUMMER NIGHTS"/"THE BEACH BOYS TODAY"
"LITTLE DEUCE COUPE/ALL SUMMER LONG"
My Picks: “BALLAD OF OL BETSY”, “A YOUNG MAN IS GONE” ( a variation on the four freshman song "THEIR HEARTS WERE FULL OF SPRING" by BOBBY TROUP, who also wrote "ROUTE 66), "GIRLS ON THE BEACH", "DO YOU REMEMBER", "DRIVE IN"
"SURFER GIRL/SHUT DOWN VOLUME 2"
My pick's: "SURFER GIRL", "IN MY ROOM", "HAWAII", "YOUR SUMMER DREAM" "DON"T WORRY BABY", "THE WARMTH OF THE SUN"
As you can see these 2 have many of the classics. All the early ones are worth getting, however if you want the best of the best I have to say that disc one of the box set "GOOD VIBRATIONS" is the best collection of the oldies. "SUNFLOWER" was the Beach Boys first album for Warner/Reprise and featured some of the most impressive group singing and writing. As on "FRIENDS" all of the band members write, sing, and play. It includes Dennis's most beloved song "FOREVER" as well as Brian's advanced chordal movement master class "THIS WHOLE WORLD". Listen to "COOL COOL WATER" any time you feel down. I know it make you feel better. "SURFS UP" had ecological songs, topical songs, Bruce's classic, A song about a tree sung by their manager, The debut of the title song which was an essential part of "SMILE", another modern harmony lesson “TILL I DIE" and some of Carl’s best production work as well as some of the best work of the fine engineer Steven Desper. Sung by Marilyn Wilson and Diane Rovell of The Honey's, as well as Brian and Carl, Produced by Brian, David Sandler, and Steven Desper, it features songs that have turned up on albums such as "SUNFLOWER, "15 BIG ONES" and "LOVE YOU" . One of Dennis's best songs "FALLIN IN LOVE" is featured as well as some interesting covers of "TENNESEE WALTZ" and Leon Russel's "SUPERSTAR" all recorded in the unmistakable Brian Wilson sound. When in 1983 I was one of the keyboardists in the backing band of The Honeys, one of the many highlights was getting to play an unreleased Brian song called "YOU BROUGHT IT ALL ON YOURSELF". We played it as with a big band /Rockabilly /Boogie Woogie feel. The album also features 2 collaborations between Dennis Wilson and Darryl Dragon a.k.a. The Captain. One of them. "CUDDLE UP" is a classically influenced ballad and was featured in the Twyla Tharp Beach Boys ballet "DEUCE COUPE II". One of the ultimate soulful peaceful songs is "ALL THIS IS THAT". This beautiful song about TM has soothing group vocal's featuring Al Mike and a high Carl Wilson part( Jai Guru Dev)that truly expresses the meditational experience. Some may recall the line Jai guru Dev as sung by John Lennon in the Beatles song "ACROSS THE UNIVERSE" which was one of his most serene songs. Inspired by the addition of Blondie and Ricky to the band, Carl's input was very strong on these albums. His song "THE TRADER" is one of his best, and his rocking vocals on "YOU NEED A MESS OF HELP TO STAND ALONE, and "MARCELLA" from "SO TOUGH" define his 70's rock and roll direction that reflected his strong leadership of the live band. When "SAIL ON SAILOR" was getting heard on the radio in 72 and 73 , Blondie Chaplin’s lead vocal made the song an instant classic. When Ray Charles sang it on the Beach Boys 25th anniversary special, Brian said he wrote it with him in mind. I also recommend the songs "LEAVING THIS TOWN" , and "FUNKY PRETTY" , from "Holland"(Listen to the whole thing including the fairy tale) "LEAVING THIS TOWN" features a Ricky Fataar keyboard solo over a pattern not unlike Santana or the Doors-Eminor7th-A7(or E minor7-F sharp minor7) that is also heard in such Jobim tunes as "WAVE" and "TRISTE", as well as on the solo section of Carl's "FEEL FLOWS". The live version of "LEAVING THIS TOWN" on In Concert has a burning organ solo by Carli Munoz. "HOLLAND" also has one of the most beautiful ballads written by Dennis and sung by Carl called "ONLY WITH YOU" as well as “A CALIFORNIA SAGA" which always makes me miss the golden state. The saga has some nice Charles Lloyd flute behind a quiet Mike Love poetry reading, as well as some of Al's best writing. These 2 are probably the most controversial in the whole catalogue. In 1976 for the first time since 1966 the back of the album read Produced by Brian Wilson. "15 BIG ONES" has some gems like "HAD TO PHONE YA in which each BEACH BOY takes part of the lead. On ""THE TM SONG" you can hear some of the dry humor from previous cuts like "BULL SESSION WITH THE BIG DADDY" and "CASSIUS LOVE vs. SONNY WILSON". Some feel that these albums are rushed, unfinished, and somewhat strange, but "LOVE YOU" is very important and I feel that it must be listened to and absorbed with an open heart to truly understand Brian's universe. Recently Brian has said his favorite Beach Boy's album is "LOVE YOU". Since he used to say it was "FRIENDS" both albums deserve extra attention with respect to the artist. This album is notable for a couple great songs by Dennis and Carl as well as Brian's classic "Good Timin" which he wrote with Carl. Al Jardine's "Lady Lynda" is based on Jesu Joy of Man's Desire by Bach. This 2fer includes the MIU album in which unfortunately Brian stepped back from production again. My picks: "GOOD TIMIN", "ANGEL COME HOME", "GOIN SOUTH", "MY DIANE", "WINDS OF CHANGE". Has an 80's sterile programmed sound, however it includes some of Carl’s best vocals. A nice surprise on this set is the track Stevie Wonder wrote and prepared for them. Some used to think "SAIL ON SAILOR" was Stevie so this takes it full circle. This 2fer includes “KEEPIN THE SUMMER ALIVE" from 1980. My picks: "WHERE I BELONG", "IT"S JUST A MATTER OF TIME", "IT"S GETTING LATE", "GOIN ON", "LIVIN WITH A HEARTACHE". This album was very important because it showed that he still had it.. His brilliantly arranged background vocals really shine on this one. Stand out's are "ONE FOR THE BOYS, which is an accapella tribute to his band, "MELT AWAY","RIO GRANDE"(sort of a mini-SMILE"), and the song that has become Brian's anthem and concert closer. "LOVE AND MERCY". On the Deluxe edition we are treated to some of the singles and b-sides that Brian released in the late 80's. The one that I always come back to is "BEING WITH THE ONE YOU LOVE". Though the drum machine and programming makes this recording a very 80's sounding track, it is actually more in the standard tradition and has some of Brian's most clever and whimsical chord changes. The opening progression is Ab6 / Ab+/ Ab/ Ab+. This use of the augmented chord between the major and the 6th has been used by Richard Rodgers, John Lennon and Dave Clark , BECAUSE) as well as by many other great writers. After repeating the opening pattern a 2nd time an Ab7th leads us up the cycle a 4th to Dbmaj7th and another 4th to Gb7th then down a half step to C-7th for a bar and back to Ab7th for a bar. then we have-Dbmaj7/ Gb7th/ C-7 then we go up a half step to C#-7th F#7th /Bmaj7th which is a ii-V going to a I of another key which is B, however when this ii-V happens again we resolve back to the Ab which is the I of the song. The bridge is also very harmonically satisfying. We start on some sort of a pedal point based on an Ab to Ab11th, or a Gb with an Ab in the bass. After 6 measures it's time for a classic bit of Brian jazz harmony for the turn around-C-7th B13th/ Bb-7th A13th/ then it resolves to the tonic Abmaj7 with a strong emphasis on the maj7th in the vocal harmony just as on the resolution of the chorus's. After a last verse and chorus the tag gives us the ii-V resolving to the I for Being with the one you love. So we have a hopeful and optimistic fade out on this lovely progression that once again shows Brian's roots in the traditions of tin pan alley and Broadway. Another short album like "FRIENDS", it even starts the same way with "MEANT FOR YOU". This album is produced by Don Was and the backing musicians reflect his vision as opposed to the band Brian would form after "IMAGINATION which reflects Brian's vision. Don Was assembled a fine team of studio players, it's just that they have more in common with the 70's laid back studio scene than with Brian's intensity so it is a very mellow and charming album of well picked selections and Brian's willingness to re-visit these chestnuts might have helped pave the way for the amazing song selection we are treated to at a Brian concert these days. I wish that "THIS SONG WANTS TO SLEEP WITH YOU TONIGHT" had been included as it showed the very promising direction Brian was going in his writing with Andy Paley, some of which has finally seen the light of day on "GETTING IN OVER MY HEAD"
An unreleased demo from 76 called "STILL I DREAM OF IT". I always thought that Brian wrote this for Frank Sinatra but it seems that I read an interview where Brian said he wrote it for Stevie Wonder. It would have been on an album meant to come after "LOVE YOU" called "ADULT CHILD" that featured some Brian style Big Band numbers including his rendition of the standard "DEEP PURPLE". I also love this spirited version of "LOVE AND MERCY" which has a much more organic sound than the original and also some wonderful background vocals by Swea Pea Atkinson and Sir Harry Bowens of Was not Was. This music evokes the era before Rock and Roll and Be-bop. The songs are by Van Dyke Parks and Michael Hazelwood. Best listened to on an autumn morning while sipping coffee . Brian presents the vocals in Technicolor. The album concludes with an instrumental Gershwin piece called "LULLABY" which also appears performed by HERBIE HANCOCK on his album "GERSHWINS WORLD". The vocals are the highlight of this album. Many layers of pure and sweet Brian vocal magic. My picks: "LAY DOWN BURDEN", "HAPPY DAY'S", "CRY", "YOUR IMAGINATION", "GETTIN IN OVER MY HEAD". It is part of the Brian Legend of late that he has recorded many versions of the John Fogerty classic “Proud Mary”. Many Brian followers wonder why. I wondered also until I heard a version from these sessions. Obviously the rock and roll groove is something he loves and is comfortable with. It set’s up his take on “Proud Mary”. The horn hook (da da da-da da da- da da da da da da da da da) which is most associated with Tina Turners version only happens once, and we barely notice. Instead we get a new twist and one that completely threw me for a loop the first time I heard it. (F major) Left a good job in the (F Maj7) city. It's jarring at first to hear this reharmonization, but as he continues going between the 2 chords while singing the verse it becomes clear that he is onto something . He takes a fairly typical rock and roll pattern and turns it upside down. The production is in the classic Americana vein that Brian always comes back to with the cowboy themed bass line supplemented by analog sounding polyphonic sythn, boogie piano strange horns, ominous wordless background vocal’s and a medium tempo New Orleans groove. There is something in this song that we may have missed after repeated listening and in my case playing bar band versions of it for years. Brian hears something else altogether is in tale of rollin' on the river and it is my hope that one day he will finish and release this eclectic interpretation of Fogerty's Berkeley/Bayou/Swamp rock. There are so many unreleased gems but my favorite is a song from the early 80's called Black Widow. It also has some of Brian's best lyrics and the 2nd Frank Sinatra reference in one of his songs that I know about, the first being "IT"S OVER NOW" from the "ADULT CHILD" sessions. Both songs are sort of an inverted variation on the augmented chordal concepts he would later use in "BEING WITH THE ONE YOU LOVE", "IT'S OVER NOW" starts with a major chord and goes to a major with a flatted 5th. "BLACK WIDOW" goes from a major chord to a major chord with a flatted 5th, and then up to an augmented chord and back to the major. In conclusion- Brian Wilson is an American Treasure and if you open your heart to his and The Beach Boy's music your life will resonate with peacefulness and hope.